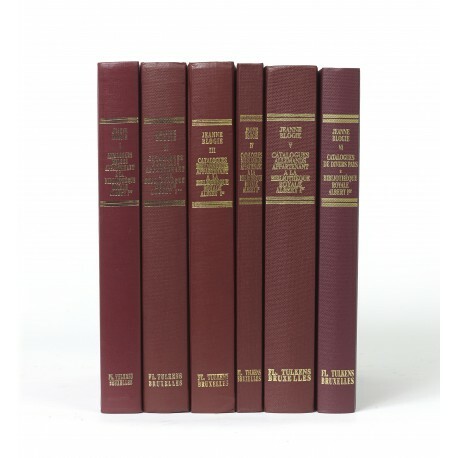 Six volumes (28 cm), I (1982): xi pp., 890 columns. II (1985): vii pp., 985 columns. III (1988): vii pp., 1018 columns. IV (1992): vii pp., 570 columns. V (1997): vii pp., 1158 columns. VI (2003): vii pp., 849 columns. Uniform publisher’s red cloth. 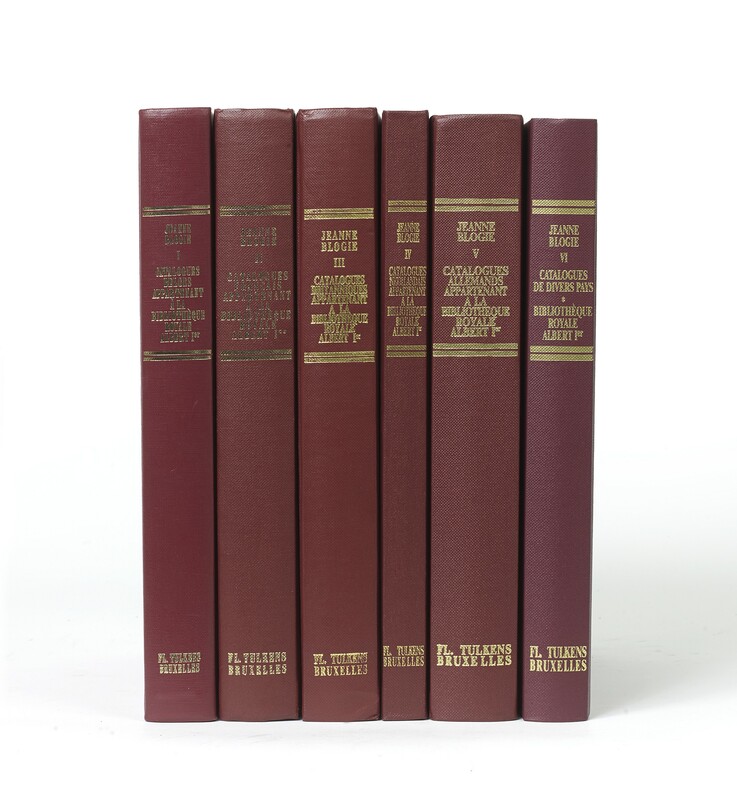 - The volumes in this series list the auction sale catalogues and booksellers’ catalogues held by the Royal Library in Brussels, organised by country of origin. 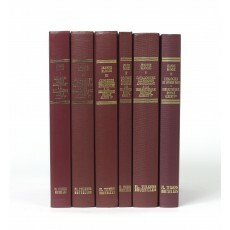 The owners of the collections are named, if identified in the sale catalogue. ¶ Fine set with minimal traces of use and no marks of ownership. (28 cm), xi pp., 890 columns. Publisher’s red cloth. ¶ Fine, unmarked copy. (28 cm), vii pp., 985 columns. Publisher’s red cloth. ¶ Fine, unmarked copy. (28 cm), vii pp., 1018 columns. Publisher’s red cloth. ¶ Fine, unmarked copy. (28 cm), vii pp., 570 columns. Publisher’s red cloth. - Entries for almost 5400 Dutch catalogues (1860 auction catalogues and 3500 catalogues of antiquarian booksellers) of the period 1599 to 1800. The earliest catalogue is of Filips van Marnix van Sint-Aldegonde’s library (1599); there are 29 catalogues of the 17th century, and nearly 250 catalogues of the 18th century. Reviewed by R. Breugelmans, in Quaerendo, volume 23 (1193), pp.142-143. ¶ Fine, unmarked copy. (28 cm), vii pp., 1158 columns. Publisher’s red cloth. ¶ Fine, unmarked copy. (28 cm), vii pp., 849 columns. Publisher’s red cloth. ¶ Fine, unmarked copy.